Tangle-on disk will take Zentangle students to the next level! 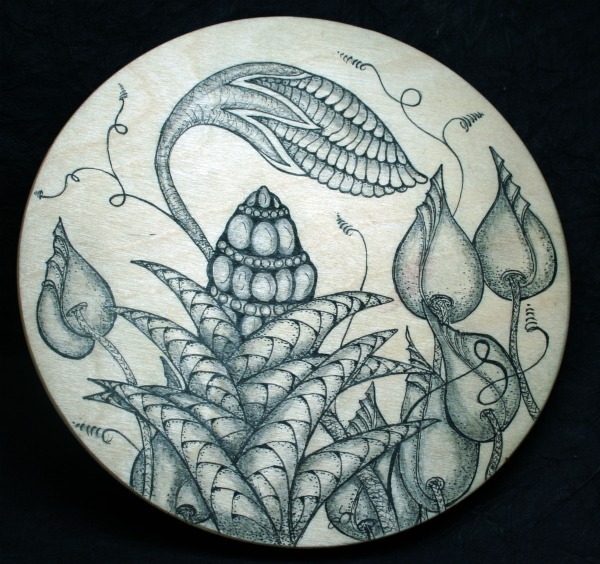 Tomorrows Zentangle class at The Office Studio is going to be fabulous! 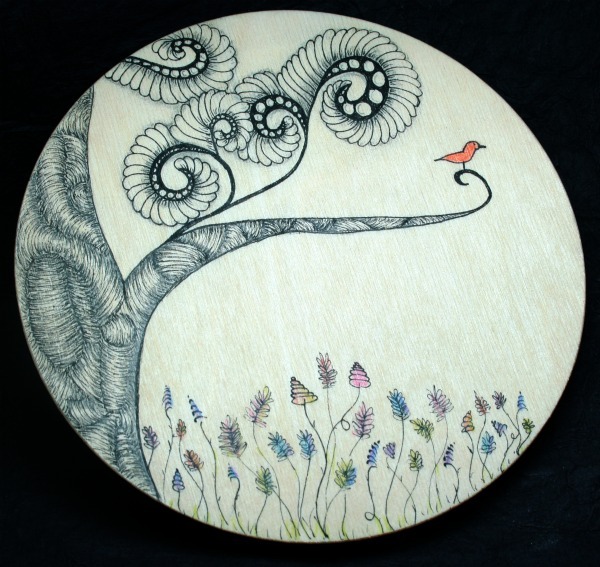 We are going to be exploring the art of the string by designing on 6″ wooden disks called Tangle-on disks. What a great way to introduce Zentangle Inspired Art by having students create art on their own portable drawing surfaces! I have found the Tangle-on disks to be invaluable to me. The disk is lightweight and fits in my purse or carry-on so I always have a flat surface to tangle a tile on. It came in quite handy last weekend when I was stuck at the Chicago airport for 6 hours! But honestly, it usually it just sits on the table by my chair where I use it every night. I like working on it rather than a table because it allows me to work closer to my face so I don’t stain my neck. It’s just a neat tool that works so well or me. 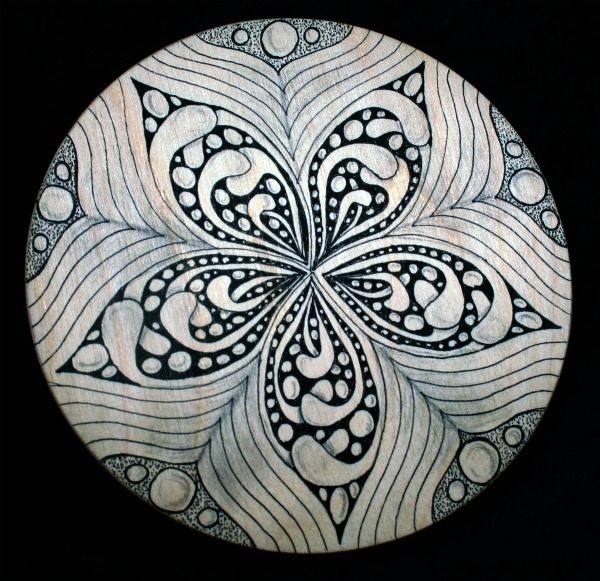 Tomorrows class is going to be about using the string to create Zentangle Inspired Art (ZIA). The disks will be the perfect canvas for the students introduction in ZIA’s! Can’t wait to post pictures! !